These three short videos explain how the innovative RateTrack® Annuity works, why the LIBOR rate is incorporated into the product, and why it may be a good alternative to current bond funds, which typically go down as interest rates go up. 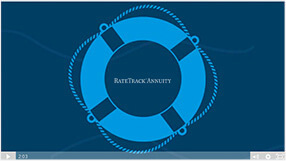 What Is RateTrack® Annuity? 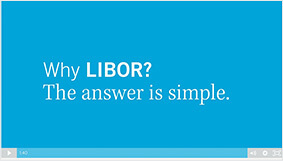 A Bond Alternative Why LIBOR? 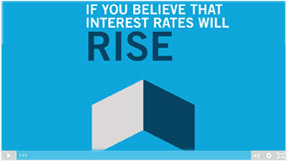 How Can Your Clients Benefit as Rates Rise? A variety of service forms are available to assist you with account management. For help in filling out the forms, please view the instructions. For selecting your investment basis, payout method and frequency and tax withholding information. For providing formal instruction from the Owner to Security Benefit Life that SBL should accept instructions from a third party to undertake certain actions of funds in certain Variable Annuity contracts. For assigning or transferring over to an Assignee certain rights, title and interests of the policy as set forth by this document. For changing the name and/or address of the existing Annuitant/Participant, Beneficiary(ies), Owner or Joint Owner of the Contract. For choosing how to handle proceeds, applying to receive payments electronically via Electronic Funds Transfer (EFT) and selecting federal income tax options. Note: Every beneficiary is required to complete his or her own form in the case of a death benefit. For transferring assets internally from one Security Benefit Contract to another Security Benefit product (i.e., moving assets from your 403(b) TSA to your 401(k) Account. Please read Transfer Procedures carefully. Please review these instructions before completing any of the forms online. The majority of our forms are designed in a fillable format so you may enter the required information online. Return the form to Security Benefit for processing by mail or fax. If you experience problems and need assistance, please call our Service Center at 800.888.2461. These forms are formatted in Adobe Acrobat. To view and print these forms, you will need the Adobe Acrobat plug-in for your browser. You may experience difficulties if you do not have the latest version installed on your computer. The icon below will take you to the Adobe Acrobat site where you can download the plug-in free of charge. Guarantees provided by annuities are subject to the financial strength of the issuing insurance company. Annuities are not FDIC or NCUA/NCUSIF insured; are not obligations or deposits of and are not guaranteed or underwritten by any bank, savings and loan, or credit union or its affiliates; and are unrelated to, and not a condition of the provision or term of any banking service or activity.